With more than 800 years of history to discover, Delft is rich with fascinating sights. With its wealth of magnificent museums, galleries, secret courtyards and historical monuments, Delft is a haven for culturally minded sightseers. But look beyond the main attractions and there are secrets and stories around every corner. If you want to experience a real post-industrialist village imbedded in the city of Delft, go here! Created in early 1900, the Agnetapark was the first social housing project of Holland with a typical character not found anywhere else. A beautiful park and nice retreat from the more heavily visited attractions. What’s the most Dutch way to discover Delft? Exactly, on a bicycle. Cruising through and around this wonderful city, you’ll find the most authentic streets, hidden hotspots and cosy squares. Rent a trendy bike or join a cool bike tour with these young local guides. Stroll, laugh and enjoy Delft together. 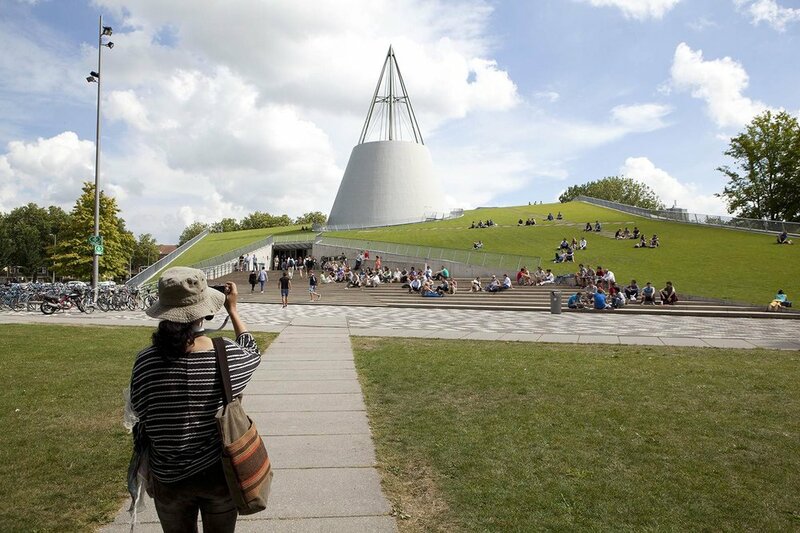 A dynamic and buzzing place where Delft’s most creative citizens get together. Visit the galleries to browse a selection of contemporary artwork and jewelery, or be inspired by the regular meet-ups, debates and workshops they organize. A must-visit if you want to explore and grow with like-minded people. Mecanoo’s new railway station is a must-visit for architecture lovers. 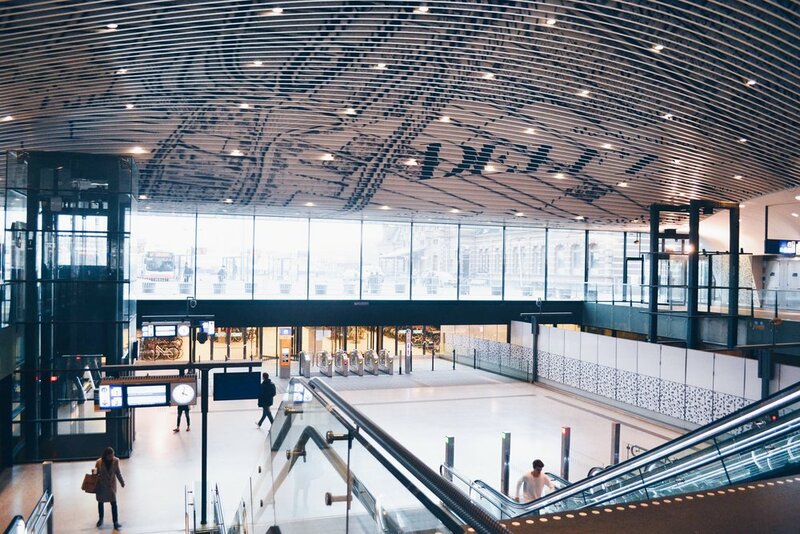 Coming up the escalators, the impressive ceiling with the historic map of Delft unfolds, interweaving past and future by revealing a modern ‘View of Delft’. The city hall above the station has a glazed skin with lens-like spheres designed to reflect the Dutch skies. One of the best way to discover Delft is by cruising down its beautiful, century-old canals. The young and local captains of Brands are very friendly and knowledgeable, and can tell you all about the city’s historical and architectural highlights. Good value for money and a very interesting and enjoyable tours. Designed to be the heart of the campus, Mecanoo’s University library is a landmark not to miss. The modern building perfectly contrasts with its neighbour: the brutalist auditorium by van den Broek & Bakema. Another dramatic building often referred to as ‘the spaceship’ by locals. The only remaining factory of the 32 earthenware factories that were established in Delft during the 17th century and a highly recommended must-see when in Delft. Spend an hour or so here to understand how the pottery is still being made using traditional methods and how it is key to Delft’s personality. This small shop inside windmill ‘de Roos’ was opened in 2015 and stores the tastiest products of our region. From organic beef to amazing cheeses and all sorts of flour, spelt and rye—of course ground by the windmill itself. Ask Gaston about climbing to the top of the mill and experience one of the best views of Delft! Want to discover Delfts nature as well? Then definitely take a day off to enjoy and relax at the water side of the Delftse Hout. Go for a romantic stroll around the lake or just put on your bathing suit and take a swim. One of the best places to have a picnic or BBQ with your friends on a summer afternoon.